Cute! 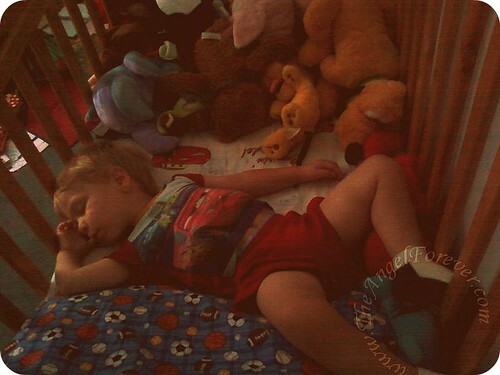 He sure has a lot of stuffed animals in there =). My boys just tear them apart!